Some Chinese characters are easily confused, because they look very similar. 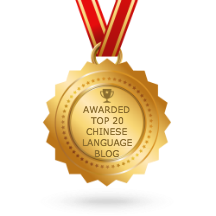 Find out how well you can to distinguish between the similar Chinese characters. I used Adobe Acrobat Professional to embed the audios. You need to have the software installed. I created the pdf quite long time ago. If not mistaken, after opening the PDF, select Tools -> Advance Editing. Add the multimedia object. Hope this help. By the way, I am using Acrobat 8.1 version.